20 STEPS HOW TO AVOID MISTAKES IN YOUR WARDROBE #8 & 9. #8 LOOK AT YOUR WHOLE SILHOUETTE. 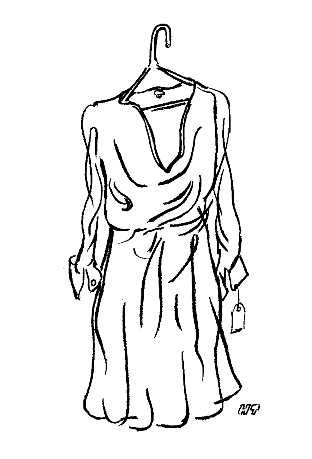 When trying on a dress, or any other garment, — look at yourself. Does it do something for you? Does the color suit your complexion. Or is that beautiful print overpowering? I once watched a lady try on a dress that was very colorful. She loved it, but she looked only at the dress, never at her face. I asked her if she felt that the dress did something for her. Before answering she looked more carefully at herself, and saw that the bright colors washed out her pale complexion. You don’t buy a dress because it is beautiful, but because it becomes you – because it makes you look better. # 9. BUY THE SAME ITEM IN DIFFERENT COLORS. When you find a blouse, top or anything else that suits and fits you well, or a pair of pants that fit like a dream, think about buying more than one, in different colors. Nobody will notice that your white shirt and your forest green shirt are the same. This applies also to shoes and underwear – but make sure they really suit you and make you feel good. Author Brigitte NiochePosted on July 19, 2010 August 8, 2010 Categories Blouse, Clothes, Fashion, Jacket, wardrobeTags color, dress, silhouetteLeave a comment on 20 STEPS HOW TO AVOID MISTAKES IN YOUR WARDROBE #8 & 9. A week has passed and I hope you have had time to look at your wardrobe? I had an email from a lady who told me that she had over 30 pairs of jeans, and did nor know what to do. Some dated back to her college days. She thought that jeans never wear out and saw no reason to eliminate any. No, they don’t wear out, but their style changes, and after many times of being washed, their fit changes too. So, when all was said and done she had 6 pairs left. She is happy with those 6 pairs because, after trying on all her jeans, she is sure that these are the ones that fit well and are not out of style. No, not want! NEED! – like a new pair of basic black pants, or a pair of light summer pants or a pretty top to go with those jeans you have salvaged from the clean-out. When you have made your list in writing, put it in your purse and keep it with you. It is important to have it with you all the time because you might not be able to buy everything on your list at once – and who can? This way you won’t forget what you need and you will refrain from buying that adorable sweater that won’t go with anything you own – it will also keep impulse buyers in check. 4. DON’T ONLY BUY THE LATEST FASHION OR FASHION FADS. If you are on a budget, like most of us, your clothes have to last several seasons. The best investment, therefore, are simple styles. They will not look outdated the next year or even the year after. Furthermore, simple styles are more versatile. You can change them into a different look with accessories. You will not get tired of a simple (Little) black dress as quickly as you will of a trendy red one. If you want to follow the new fashion trends, do it with accessories – a belt, a hat, shoes, a handbag, or jewelry. STAY WELL AND LOOK YOUR BEST. “Hello Everyone!” today we are going to look at the first two, of the 20 most common mistakes women make when it comes to their wardrobes – and let me start with a story about my friend Wendy. She couldn’t wait to show her friend Linda the beautiful top she had bought on sale that morning. She rushed home to change before Linda arrived. 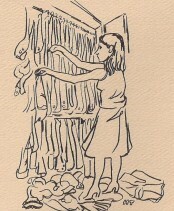 Once at home, Wendy quickly unwrapped her purchase, cut the labels, and changed into her new blouse. Admiringly she looked at herself – but what about those pants? They really didn’t go with this blouse. Frantically she went through her wardrobe looking for a skirt or a pair of pants that would match. After several tries Wendy had to admit that she had nothing to match her new top. Disappointed, she took it off. She felt depressed. This wasn’t the first time she had bought something that she couldn’t wear with anything in her wardrobe. And worse yet: for many items she had never found the right match. These garments, filling up her wardrobe, made her feel helpless. With all the clothes she had, she always felt that she had nothing to wear. Wendy was not alone. Most of us have a lot in our closets. Yet how many times do we stand there helplessly wondering what to wear. And many women believe that if they had more money their problems would be solved. NOT SO! Money alone is not the answer to your wardrobe problems. But don’t despair. These costly and depressing mistakes can be avoided. How??? By planning your wardrobe and by developing good shopping habits. 1. TAKE INVENTORY OF YOUR CLOSETS. 2. TRY ON ANY GARMENT YOU ARE IN DOUBT ABOUT. Once you have decided what to keep, look at what is left in your wardrobe and think what you would like to add to it, or what you need, and of course you must keep in mind your lifestyle and professional needs. I know this is a tall order and I will give you some time to do it, before going on to the next step – and don’t feel discouraged if you can’t do it all at once. Depending on the size of your wardrobe, you might have to do it in stages. CHURCH SALES OFFER MORE THAN HAND-ME-DOWNS. When I tried on the silver slippers, one of the ladies came over, “Are you going to buy these?” I looked at her feet. At that moment 3 other ladies walked in. It turned out that all 5 ladies came from Staten Island. I spent the last weekend in a Bed & Breakfast in New Jersey. While driving around the area I saw a sign next to a church – ‘Our Thrift shop is open every Saturday from 10 am to 2 pm.’ I stepped on the brakes and slowed down, then I remembered it was only Friday – what a pity. But after breakfast the next morning it was my first stop. When I walked in at 10.30 there were two ladies looking around and chatting away. “Be careful not to trip, we are doing some work this morning, but they will be out of here soon,” the older lady minding the store warned. “That is right we won’t be in your way for long,” the man hammering away said laughingly. “I see, but I have narrow feet, you know.” No I didn’t and I doubted it, but I handed them to her and she rushed away to sit down and try them on. At that moment 3 other ladies walked in. When one of them said to her friend, “You know when we lived in Staten Island – did you know I was born there?” ………..There was a cry of surprise and the lady holding the silver slipper said: ”I don’t believe it! You are from Staten Island too! Do you live here now? When did you come here?” It turned out that all 5 ladies came from Staten Island. It was like a high school reunion, I enjoyed listening. They laughed and joked, remembering the good times back when. They also shopped and told each other what looked good and what didn’t. After about an hour they were ready to go. I knew! And watching them walk out I thought that having found new friends she did not need silver slippers anyway. Hello – I hope you liked my post, please leave any comment, criticism, or – if you can add your OWN experience of CHURCH SALES to this I would love it. 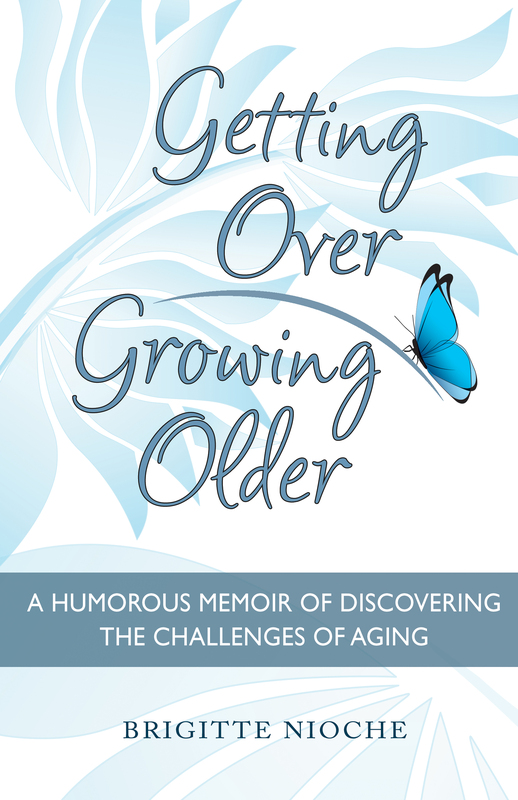 Author Brigitte NiochePosted on June 14, 2010 June 20, 2010 Categories Fashion, ShoesTags church, rack, reunion, Shoes, silver, size, slipper, sneaker, thriftLeave a comment on CHURCH SALES OFFER MORE THAN HAND-ME-DOWNS. Giving my clothes away I enjoy as much as buying them. Maybe you don’t believe me, but it is true. Just this week my housekeeper went home with 2 silk dresses, a pair of leather pants and two tops. It is such a relieve to see them go. It means I don’t have to deal with them anymore. They are gone. They are out of my life. I won’t have to worry about them anymore. Oh, yes I worry about my clothes, especially those I don’t wear much. There they hang and each time I see them I have a bad conscience for not wearing them. So when Maria walked out with the shopping bag, I thought ‘good riddance.’ They had been eliminated when I put my winter wardrobe away and out came the summer candidates – when I saw them again, actually I had forgotten that I had them – I thought ‘Oh, not that dress again’ – and without further hesitation – like how much did I pay for it – how much wear did I get out of it, I took a shopping bag, folded them carefully and put them in. Yes, even when I say goodbye to my clothes I treat them with respect, and hope the next wearer does the same, but once they are in the bag I never look inside again. Why do I say that? Because I have known women who went through cleaning out their wardrobe with a professional, only to put back half of what was eliminated. I even put the shopping bag out of sight until I see the person I give it to. Thinking that you are doing a good deed will make it easier to separate yourself from that lovely Burberry jacket you bought on sale three years ago, and never really wore because it was a little snug, but you could not resist the bargain at the time – what a Burberry blazer for only $99? Our emotions and our clothes are very connected, and often get us all mixed up and confused. Has it happened to you that in the morning you put on a dress and not feeling right in it you decided that this is its last day, when somebody came along and said, “Oh that looks nice on you!” – Now what? A remark like that can really mess us up, because now we have to reconsider, rethink. Maybe I am wrong – and why don’t I like this dress – what is the matter with me. Well, when in doubt for any reason, just remember they are your clothes and you can do with them what you want, and only you know how you feel in them- and furthermore your clothes are there for you and not you for them. For some people it is easier to get rid of a friend, than a 10 year old coat. Don’t forget that your clothes are an extension of you and the minute, you have doubts about an item, it is usually time to let it go, because if you loved it you would have no doubts. Clothes are a little bit like people when you get second thoughts or it takes too much tucking and pulling and trying to make it look right – it is time to let it go. Another sign of too much clutter are our friends the coat hangers. When we can’t find one to hang our new blouse on they tell us that our wardrobe is overcrowded, and that it is time to clean out, to give away those leftovers from days gone by.